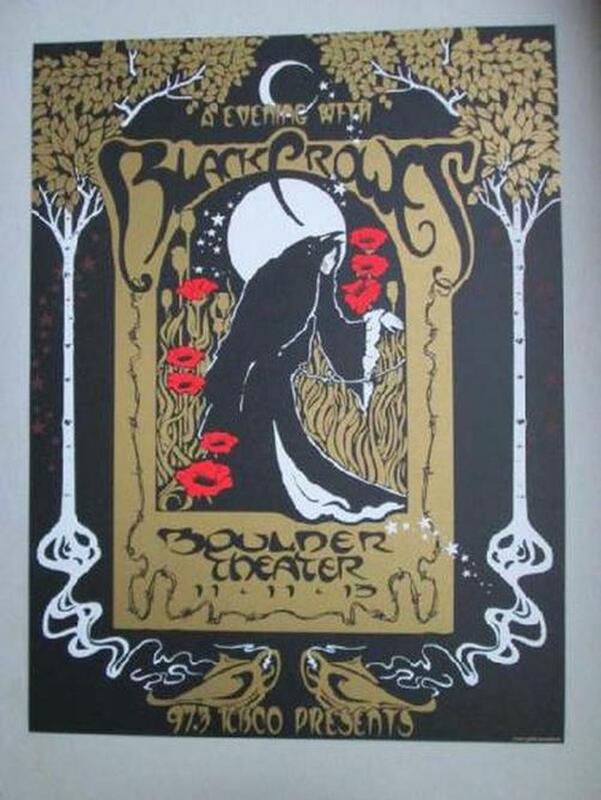 Original silkscreen concert poster for The Black Crowes at The Boulder Theatre in Boulder, CO in 2013. 18 x 24 inches on card stock. Artwork by Richard Biffle.